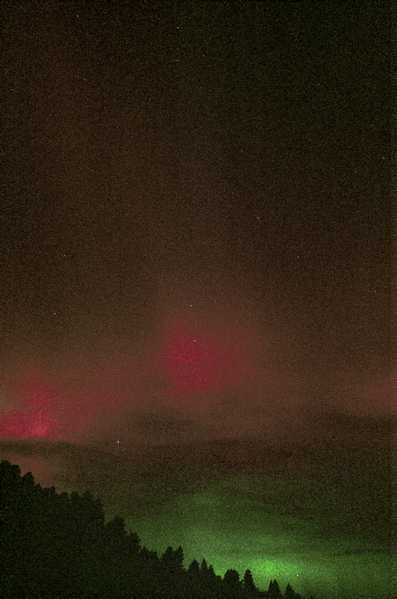 The following pictures were taken on March 30th, 2001 in Colorado Springs. 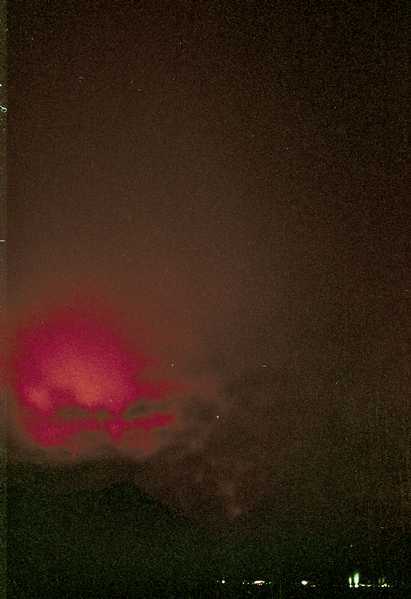 These are pictures of the Northern lights (auroras). Since this was my very first attempt at taking pictures of auroras, I didn't do a very good job thus the reason for the grainy pictures. I hope the next time (assuming that there is a next time) I'll get better pictures. 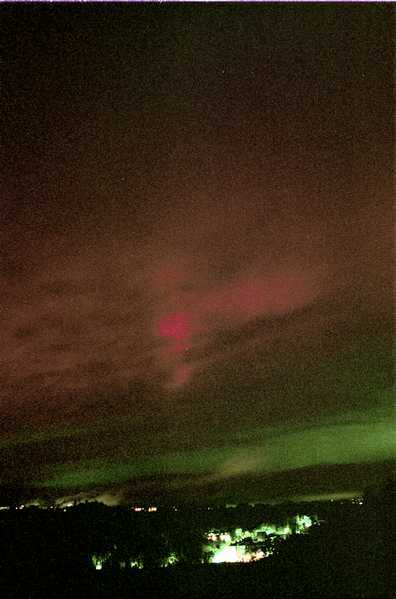 Note: The green hue on the 2nd and 3rd pictures is, I believe, the lights from the city reflecting off of low clouds. 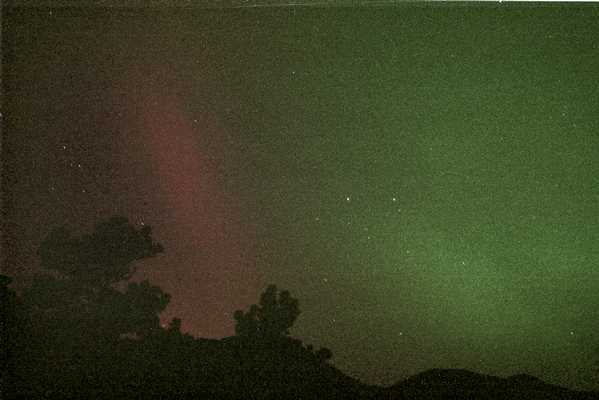 The green n the 4th picture, I believe, is part of the aurora.